The company has a modern manufacturing facility at Bhavnagar, in Gujarat state, which is about 180 km away from Ahmedabad, the commercial hub of Gujarat and l30 km away from Pipavav port, and about 650 km away for Mumbai (NAHVA SHEVA port) This location enjoys full connectivity with Ahmedabad , Pipavav port , Kandala port and Mumbai port by rail, road and air. It is built in a 8000 sq. mtr. area. 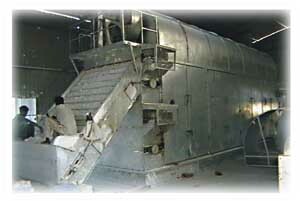 The plant has delineated area of raw material storage, production, finished products area, quality control & assurance, maintenance and all areas are adequately ventilated. 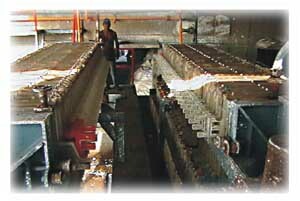 In India we are the pioneer and the only to have modern drying technology for drying of LIGHT BASIC MAGNESIUM CARBONATE. Utilities like water, steam, thermic fluid boilers, hot air generator, stand by generators available for smooth and efficient production.